Express Your Love Of Pit Bulls With Personal Checks. Browse our collection of Pit Bull dog poses on personal checks. If you like Bull dogs or Terriers, you'll like the famous dog breed of the Pit Bull. The next time you go to write a personal check, be sure you have some great Pit Bulls on them. You are bound to get a great reaction each and every time you pay your bills with our dog checks. One of the most controversial dog breeds are now becoming well-behaved dogs that are family friendly as well as fierce. 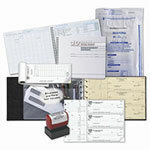 Buy your next set of personal checks today.